TV & Reality Jobs>Game Show Contestants Wanted>Fancy Competing Against Celebrities to Win a Cash Prize? Fancy Competing Against Celebrities to Win a Cash Prize? An ITV2, primetime celebrity gameshow, are looking for mixed teams of 4 for a returning series. Do you and your team have what it takes to beat a celebrity at their own game; winning a cash prize in the process? Nationwide auditions are taking place fairly soon. 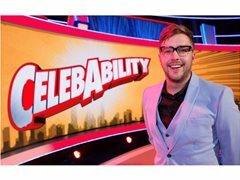 TEAMS WANTED FOR A PRIMETIME CELEBRITY GAMESHOW!